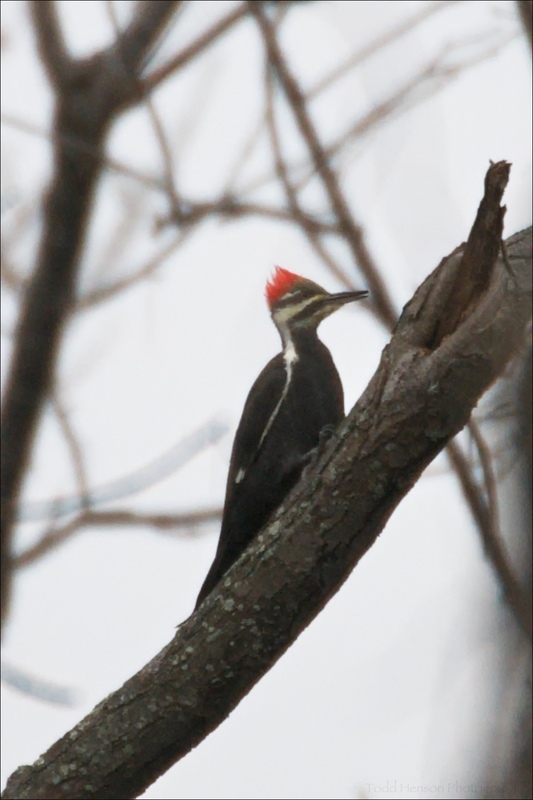 The Pileated Woodpecker is the largest, and perhaps loudest, woodpecker I've seen. It is largely black with some white stripes and a bright red crest on the top of its head. The Pileated has continued to elude me. This very low quality photo is one of the few I've managed to make of this bird. I have gotten some good views of them, but never when I had my camera available.